What motivates people to cycle? 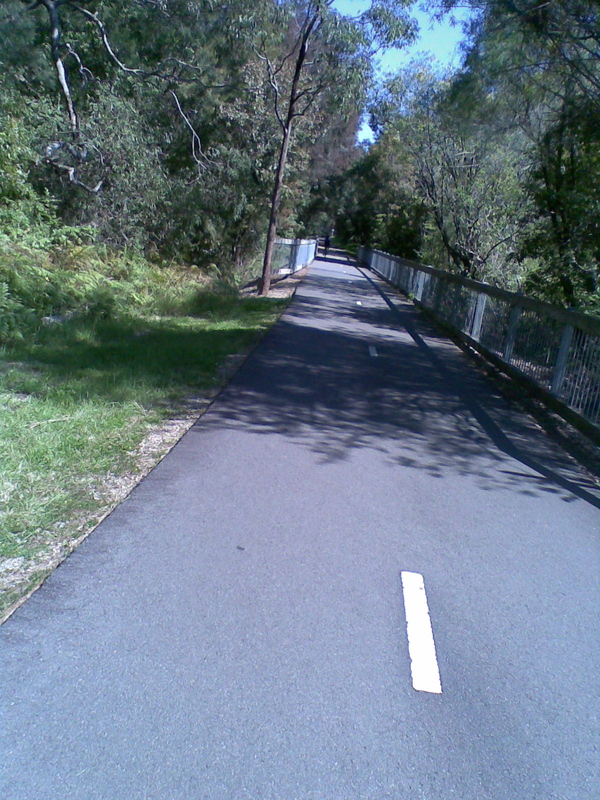 Lake Macquarie City Council is currently calling for feedback on its cycling strategy. This raises some interesting questions as the council has targeted a fair portion of its cycling budget for educational programs rather than for building new infrastructure. This distribution of funding raises the question: Which is more effective in promoting the uptake of cycling, infrastructure or awareness? Sydney has revamped its cycling network recently with a great degree of success, although not without some controversy, as is to be expected with an innovation such as this. I recently read this report on cycling in Sydney and the barriers to uptake of cycling and what can be done to minimise them. One of the things that was mentioned was the “normalisation” of cycling, which is perceived as very important in the process of cycling for transport becoming widely accepted. Many reasons cited in Appendix A of the report for uptake of cycling involved people they knew, or saw, cycling: either work colleagues, friends and family or co-commuters, people seeing other cyclists is obviously a trigger for taking up cycling. Certainly, for me, one of the things that prompted me to cycle for transport was seeing others cycling in that mode, though I was already a competent cyclist through sport; although the two are so different that I did not feel that I could use a bike for everyday transport until I saw others doing it. 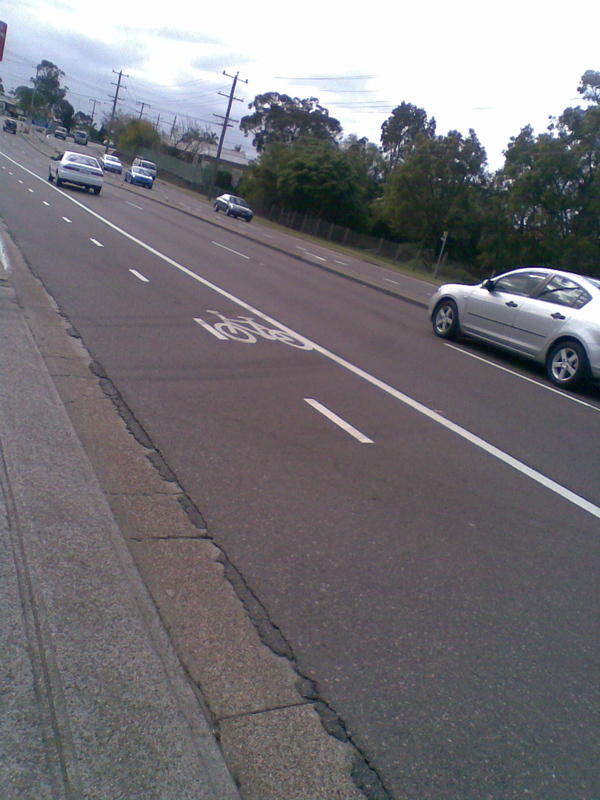 This entry was posted in activism and tagged bike lanes, Bike tracks, Fernleigh Track, newcastle, transport cycling. Bookmark the permalink. 6 Responses to What motivates people to cycle? Even blind Freddie can see that the majority of funding needs to be spent on infrastructure and not on education. No matter how much they throw at education you will still find most cyclists will ride against the flow of traffic at some stage, cross against red lights when they can see no traffic coming, ride without the now prescribed helmet or else have it dangling from their handlebars, ride in a manner dangerous to pedestrians and also in a manner dangerous to themselves. No amount of education will stop this or prevent injuries but a safer place to ride and away from the dangers will and maybe in time the safe way to cycle will sink in. I think that joining up the Infrastructure jigsaw is really important, there are quite a few great cycle paths around Newcastle and the Lake, but only when they are linked together sensibly and safely will the 4WDs with bike carry racks begin to reduce in number at the ends of these paths. Then hopefully more non-cyclists will see more and more regular cyclists passing by everyday in their local environment, while setting an example by being thoughtful, courteous, non-threatening, and enjoying themselves far too much on their desirable bikes – Education! I agree Peter, about joining up the tracks to make whole trips viable and safe, especially to town centres and other popular destinations like the hospitals and university. 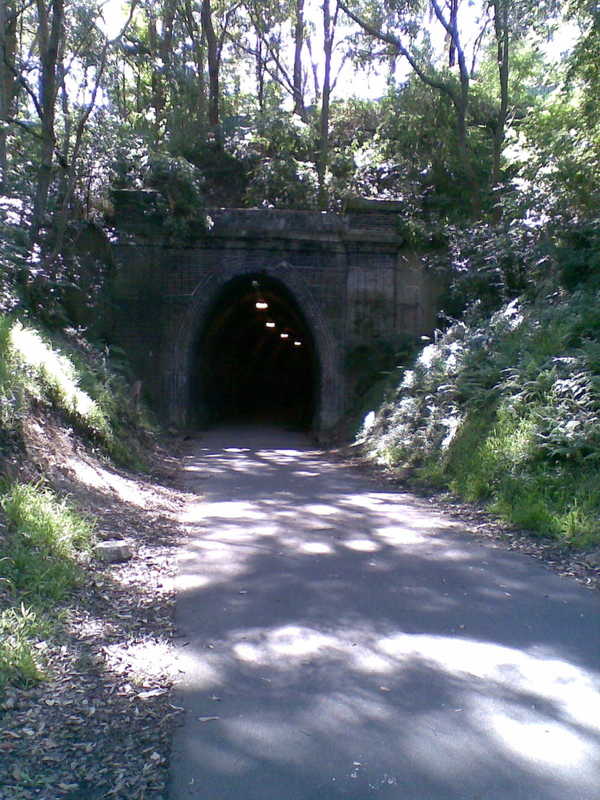 The one bad thing about tracks like Fernleigh is that the cyclists on them are not visible to car drivers so are not able to be that role model which will make drivers think about switching to bikes. Wayne, the thing about education is that it can be directed at drivers as well, in terms of the way they treat cyclists. I would back a campaign which raises awareness of car dooring for example. I would also back a campaign that was trying to get non cyclists to take up cycling, though, as you say, the momeny is better spent on infrastructure, that wil bring people to cycling, in my opinion. Vicki, education by means of the various media outlets has been tried by both state government and local council in the past even by the RTA [ on the back of the rego label ], it appears the only drivers that paid attention were the ones who cycled themselves. 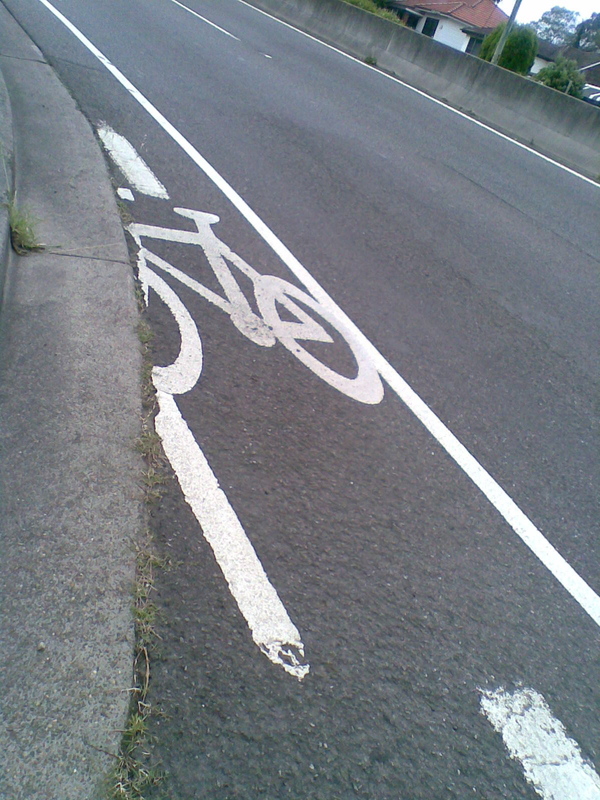 Money is far better spent on providing a safe area for cycling that is away from the dangers, the same as footpaths keep pedestrians off the road, a two way cycle path next to the gutter, that is between the footpath and the parked cars would be good so that the car passengers can see a cyclist approaching as they open their doors. How many people do you see just open their doors as a car approaches and don’t even blink an eye, they will never care about a cyclist. It’s sad, but there are three things that are fading away, patience, respect and common sense, when these return then I think we will find there will be fewer accidents and it will be a safer place to cycle.